Velma was always the brains of the Scooby Doo gang. She knew before anyone that the monster was really just some shmuck in a mask. You'd always find her head buried in a book. In the latest Scooby Doo! 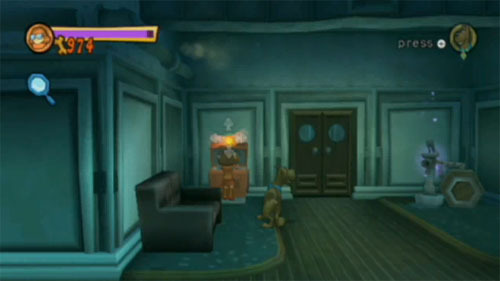 Fright Nights trailer she's chucking those books at scary monsters, and with Scooby by her side in the game's two player co-op - well Scooby gets a treat of his own.